Like a job that you love! Imagine if we treat our fitness and workouts like we treat our jobs? You wouldn’t miss your shifts, or you’d likely lose your job if you did. You try to do things that add value to your bussiness. You work to be more efficient, building job security, making connections and earning your paycheck through hard work and persistence. 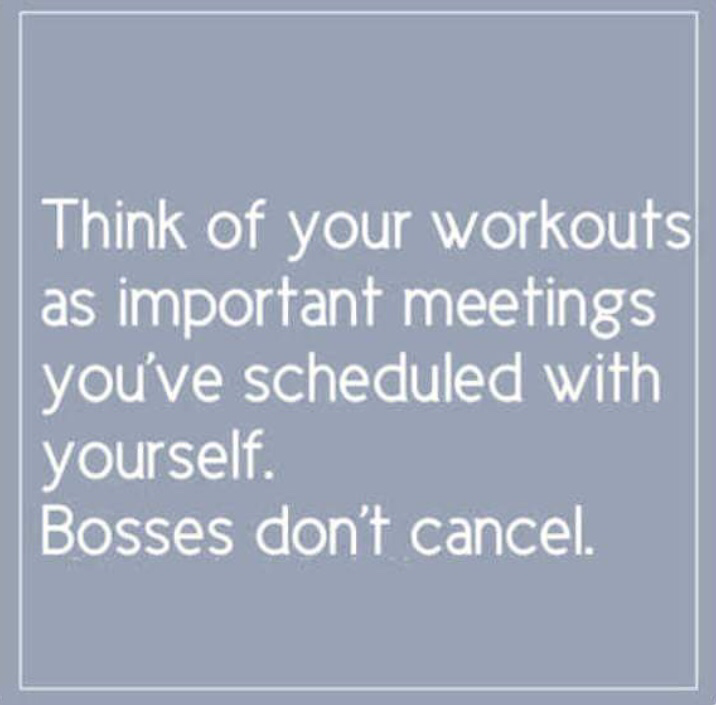 Now imagine if you treat your job, like you (maybe some of you) treat your fitness. How is your fitness-attendance rate? How is your job satisfaction? If you were to have a performance evaluation, would you be getting a raise if we applied your current fitness habits to your profession? How well do you follow instructions? When you encounter difficulty, are you more likely to give up or ask for help? Would your workout-attitude transfer to the workplace? Would your co-workers be inspired and motivated by you? Think of the excuses you’ve been using to stop doing what you said you were going to do. How would those play in a work environment? Imagine telling your boss that you don’t have time to do your job – You’re too busy with other areas of your life to perform the job you were hired to do. Or that you’re too tired.